I decided to actually knit the blanket because I felt I needed a break from crocheting, though I’m actually a slow knitter. I am still working on my crochet mood blaket as well. Can you believe that we’re 60 days into the new year already? 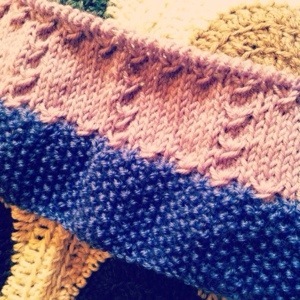 10 more squares + edging and my first blanket for this year will be finished. I don’t know if I’m going to start a new project straight after, but we’ll see.